With iPhone sales slowing down, Apple (AAPL) could rely on its Services business more than ever to drive growth. In order to expand that business, the tech giant may need to launch a “media bundle” to rival Amazon’s (AMZN). Here’s how an Apple media bundle, or an Apple Prime, could work: subscribers pay a fee each month to access a Netflix-style streaming service with original films and TV series — the tech giant has at least 20 original projects in the works — as well as Apple Music and a subscription news service. 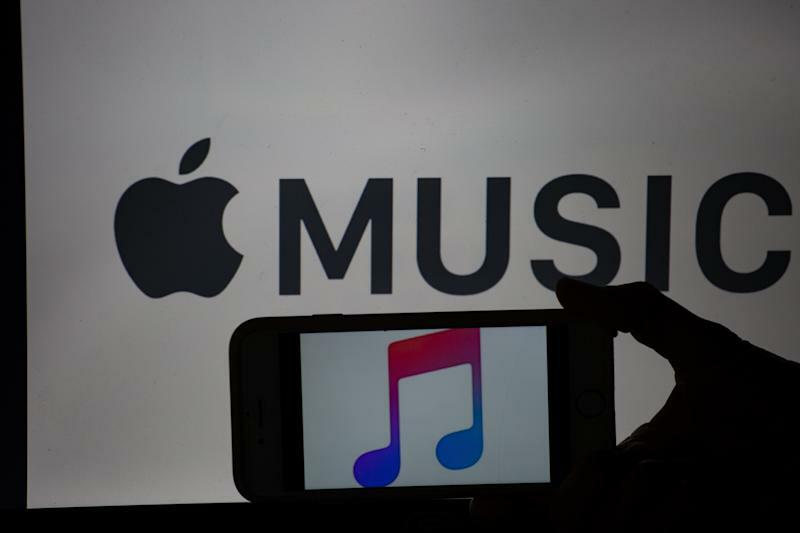 A fast-growing services business, fueled partly by the successful launch of such a media bundle, would help push Apple back to that $1 trillion valuation, contended Huberty. Amazon’s own service, Amazon Prime, isn’t in itself a moneymaker, but serves as a potent tool for recruiting and retaining over 100 million shoppers, who in turn, boost Amazon’s revenues and profits. Similarly, “Apple Prime” could draw users into Apple’s ecosystem. “As device revenue slows, services will take the baton, driving more sustainable and more profitable growth helping to re-rate shares higher,” Huberty wrote. Apple's Services business, which grew to $40 billion in revenues for 2018, currently accounts for 15% of the company’s overall revenues and 23% of total gross profits. The tech giant is betting more on its Services division to offset flattening hardware sales. However, Huberty estimates that Services will grow to constitute 30% of Apple’s overall revenues and 46% of total gross profit dollars by 2023. The launch of a compelling Apple Prime-type package is key to shoring up Services growth, reiterates Bernstein analyst Toni Sacconaghi. “To beat our current expectation for deceleration of overall Services revenues from 24% growth in 2018 to 16% in 2019, Apple will need to add mid-to-high single digits growth back to Services revenues through successful launch of the ‘Apple Prime’ bundle including original video that we expect to be rolled out this Spring/Summer,” Sacconachi wrote in a report published on Monday. Still, Apple must overcome many hurdles to deliver such a media bundle. Apple’s subscription news service, which could launch by the summer, has reportedly frustrated media executives at outlets with a revenue sharing model tipped heavily in Apple’s favor. Apple is currently asking publishers for 50% of revenues and would divvy the remaining 50% of revenues among publishers based on the amount of time users engage with their articles, according to a report from The Wall Street Journal published Tuesday. If true, those terms are even steeper than the 30% cut Apple takes from App Store developers, which may explain why publishers such as the The New York Times and The Wall Street Journal have reportedly declined to participate in the service. Apple has also run into challenges with its forthcoming streaming video service, expected to launch this summer, which will include free original shows and films for owners of Apple devices and subscriptions to existing digital services like Starz and Showtime, according to CNBC. Netflix (NFLX) reportedly will not be participating in the streaming service — an unsurprising move, given Netflix’s own aggressive push into the original content space in more recent years. Apple, meanwhile, continues negotiations with HBO, although it’s unclear at this time whether the two will reach a deal. Pricing is vital to making Apple’s media bundle a compelling sell to consumers. Altimeter Group analyst Omar Ahktar recommends that Apple price its bundle around $20. That price would make it significantly more than either Netflix, Hulu, or even Amazon Prime, which top out at $12.99. But Apple might be able to justify that steeper price. Assuming Apple prices its bundle well — and it’s able to actually deliver compelling original content — then expect the competition to get a whole lot more heated this summer.